WHAT TO EXPECT Scottish islands have just a wee bit of magic about them - it’s hard to pin down, I like to think it’s something to do with the endless vision of sea and sky that stretches in front of you or the fact that you can say hello to everyone you see and not feel weird about it. Whatever creates that magic - there is lots of it on the Isle of Canna. 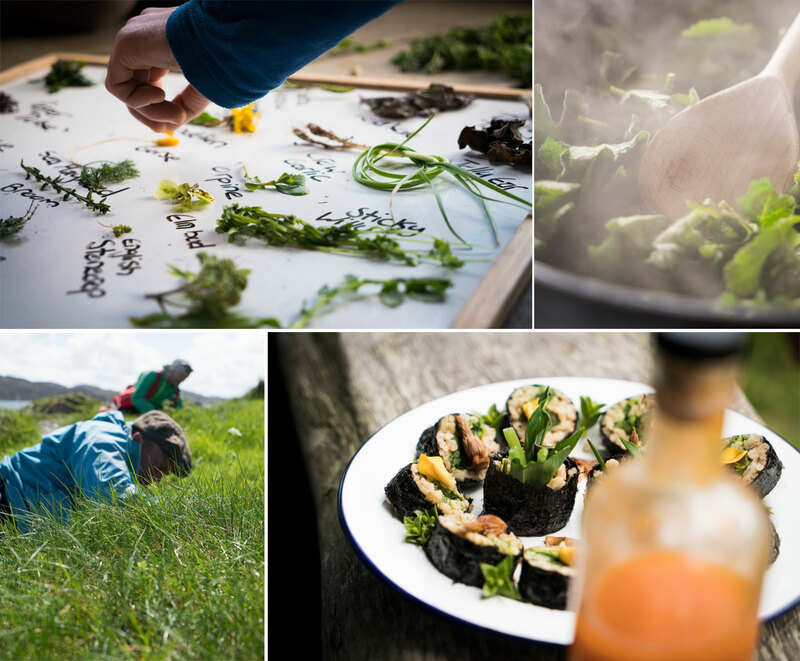 We are collaborating with foraging teacher Mark Williams on this trip, we'll explore the wild food resources of the Isle of Canna, using what we find to create delicious meals. Over the course of the trip you'll get the chance to learn about foraging for wild food in a range of habitats whilst also journeying by sea kayak and on foot. 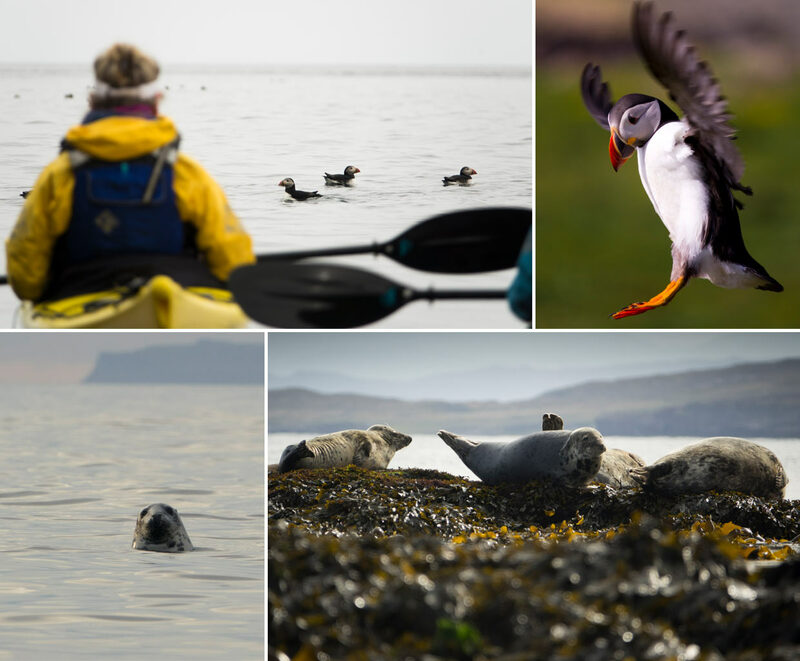 TRIP HIGHLIGHTS A 5 day wild food foraging and sea kayaking trip exploring a remote Scottish island, staying in simple accommodation in a wonderful setting. May is a wonderful time to visit Canna with the island full of spring life. Get to know a remote Scottish island over the course of 5 days.  Get acquainted with the local Puffins and Seals. 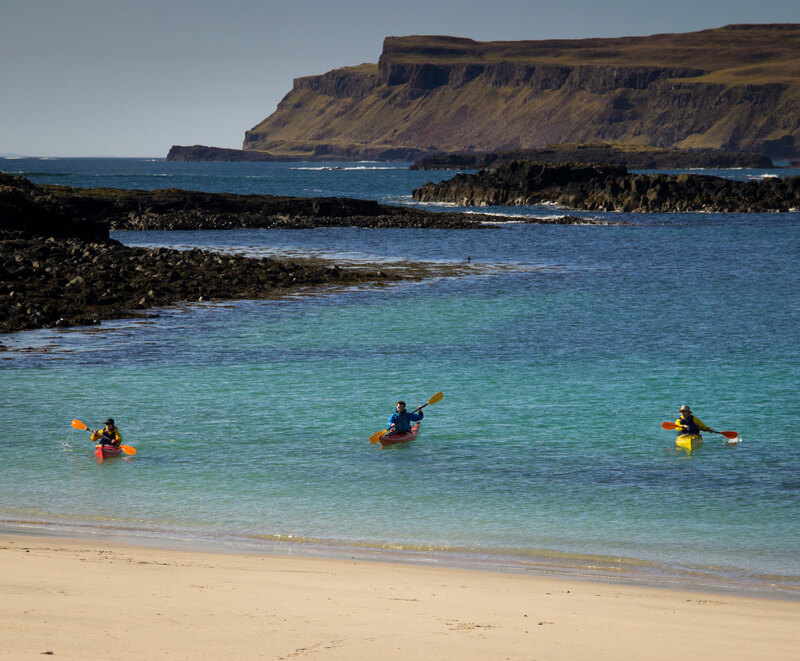 Beaches and cliffs, sea caves and skerries - Canna is a sea kayaking playground. 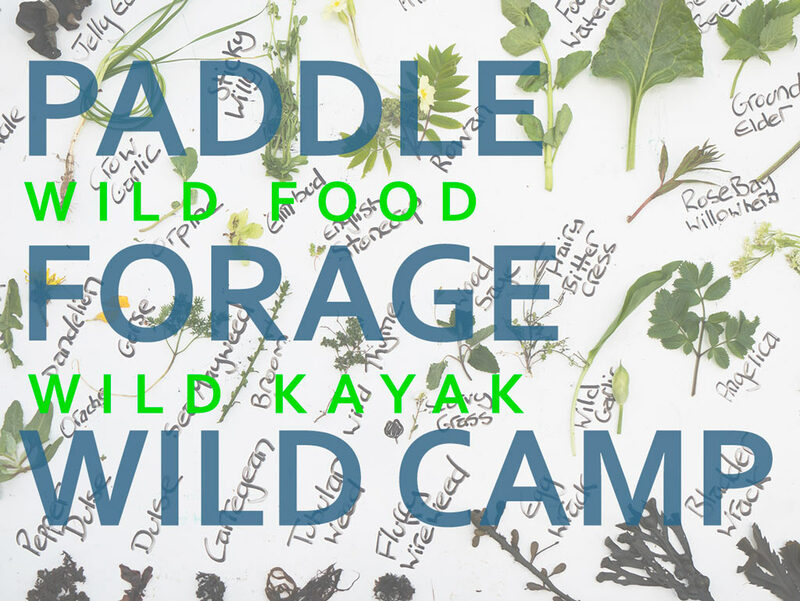 Learn about wild food from an expert forager, whilst exploring Canna's shoreline and woodland. 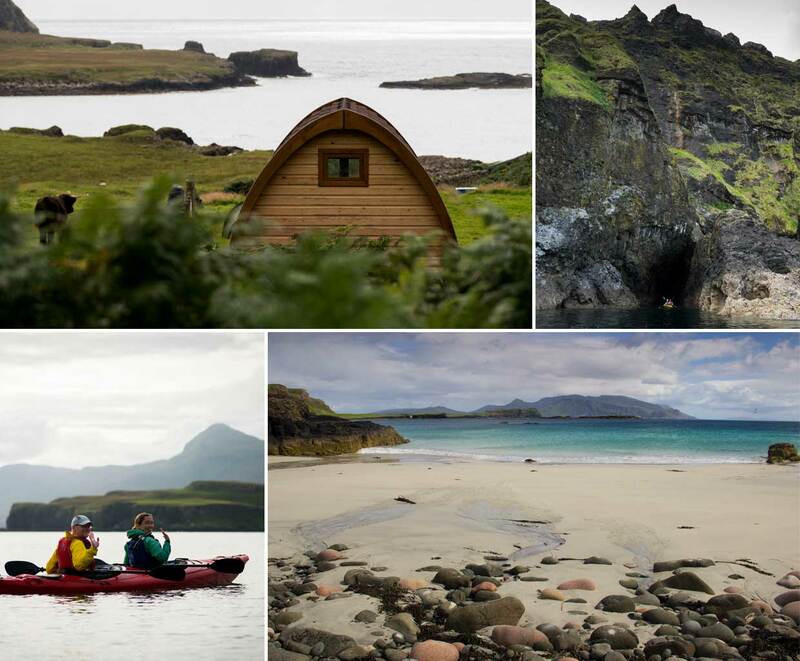 *MAKING YOUR ESCAPE - We’ll meet at Arisaig to collect the kayaks and kit, then head up to Mallaig for the ferry crossing to the isle of Canna - keep an eye out for Dolphins or Minke whales - often seen from the ferry. Arriving on Canna is a wonderful experience, with that instant feel of being far away from everywhere else. 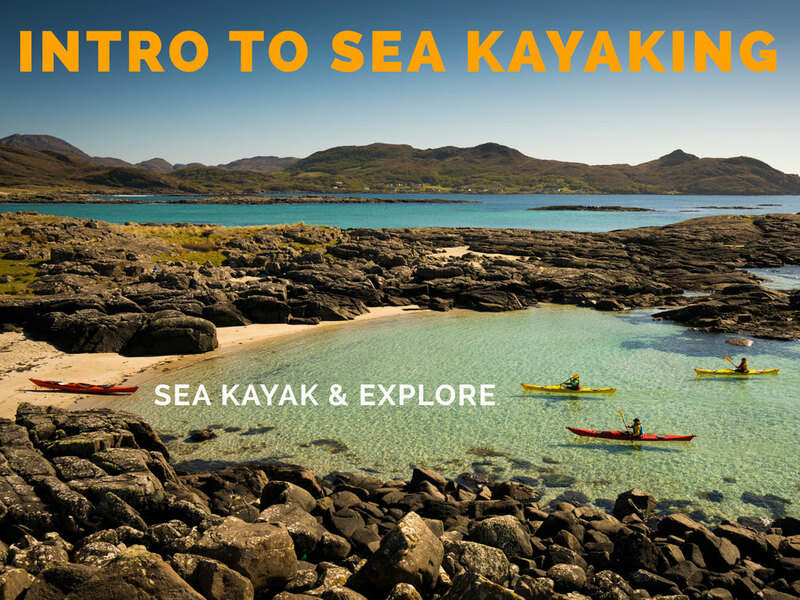 We’ll have a little explore and then take to the kayaks for a Sea Kayak Journey - if you’ve not spent much time in a kayak before then we’ll make sure you get to brush up on the essential skills before heading out. 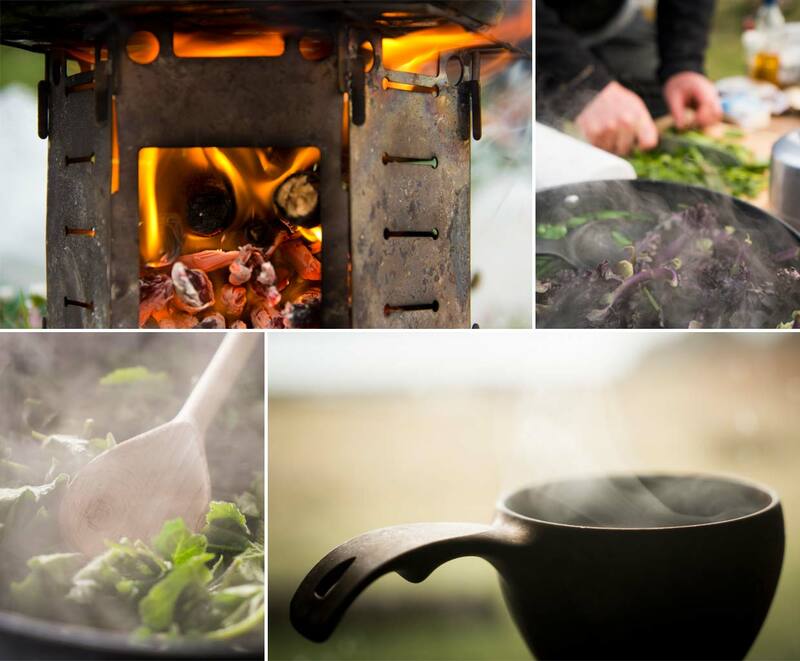 *FORAGING AND EXPLORING - This is a chance to get really intimate with the flavours of Scotland's wild west coast, connecting with seaweeds, coastal succulents, shellfish, woodland greens, aromatic herbs and medicinal plants in a stunning location. While the flora and fauna of Canna is very special, the foraging knowledge and skills you will learn are fully transferable to less wild settings, and will last you a lifetime. Our trip coincides with low spring tides, and we will connect with their rhythms in our kayaks and on foot to access, learn about and harvest dozens of delicious and nutritious seaweeds in prime condition. In late May, some of the shellfish we encounter will be out of season, but this will not stop us from learning about them. 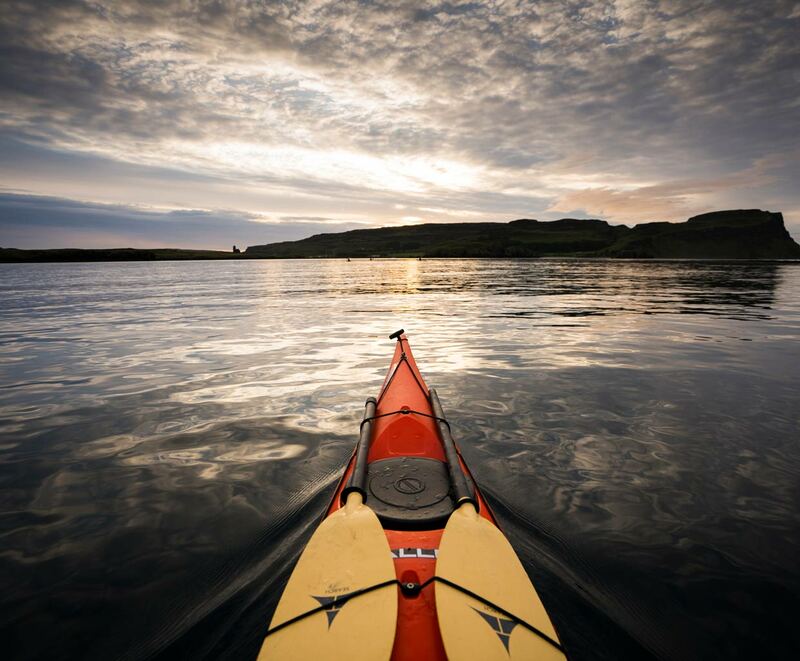 As the tide comes in we will paddle around the island to explore the succulent and aromatic edible treasures of its upper shores, salt marshes, coastal machair (low-lying grassland) and coastal cliffs. We will also venture inland to look at the edible plants of wet moorlands, woodlands and maritime hedgerows. *EXPLORE A WILD ISLAND - We’ll wake up each morning in a wild setting, our accommodation is in perfectly situated wooden pods with a clear sea view. Each evening we will cook meals in a wild place on the island. Our meals will be full of natural flavour, nutrition and wild inspiration, as we process, cook and eat our finds, learning the best techniques for capturing and preserving the flavours of time and place. Every meal will include foraged ingredients, and our last night will be a multi-course tasting menu of all we have learned throughout the week, cooked on an open fire. We will mix foraged Canna cocktails on the beach, and sip aromatic liqueurs by starlight. We’ll use or time well - going for a longer explore in the sea kayaks and on foot. The island is home to lots of Puffins and other sea birds, we’ll see them dart back and forth from the cliffs as we paddle along. The conditions will dictate exactly how we spend each day - there are lots of options for sea kayaking and exploring the island on foot, if the conditions are good we'll aim to spend the full day in the sea kayaks. The week will include relaxed workshop sessions as we tune more deeply into Canna's wild larder, honing our identification skills and foraging repertoire. Participants will have plenty of time and space to develop their own personal connections with the plants we encounter, and should emerge from the week refreshed, inspired and with enough foraging skills to plan they own wild adventures. ACCOMMODATION Accommodation is in Canna campsite pods, these simple wooden shelters are perfectly situated on the quiet Canna campsite, there is a toilet, running water and cooking shelter on site with showers situated on the farm about 1km from the campsite. The Pods are simple shelters - they have no electricity or beds, you will need a sleeping bag and self inflating mat for the pods (can be provided). Each Pod will be shared, either as a couple or with other group members of the same gender (there are two 3 person pods and 1 2 person pod). It is also possible to camp if you wish, or to wild camp close to the campsite. FOOD Includes meals - late afternoon lunch on day one through to lunch on day 5. We may choose to eat a meal in the cafe Canna on one of the nights (not included in the trip fee). We will be foraging for wild food on this trip and will use some of what we find in our meals, this will be supplemented by wild food that Mark has foraged and ingredients we bring with us. There is also a small honesty shop on the island which sells some food if you need to purchase any snacks. We can accommodate any dietary requirements if notified in advance. START AND FINISH Meet at Arisaig sea kayak centre at 08.00 on day one. Trip ends at Arisaig sea kayak centre at 18.00 on day 5.